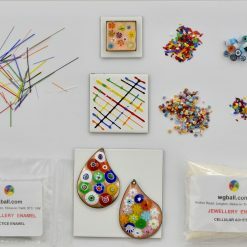 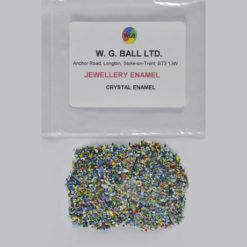 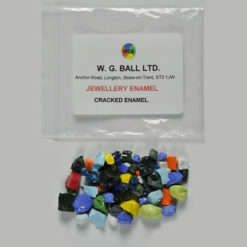 Cracked, Crushed and Crystal Enamel:- Lumps of enamel of various sizes ideal for scrolling. 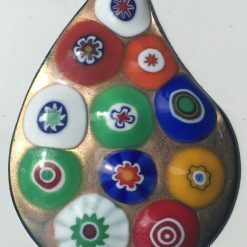 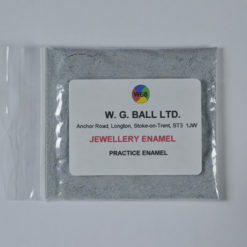 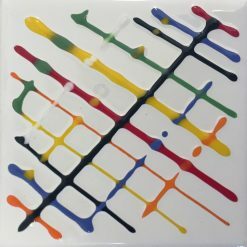 Practice Enamel – as it says, but can be used for counter enamelling. 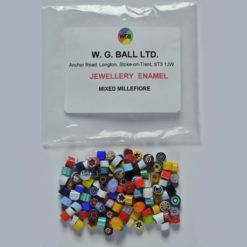 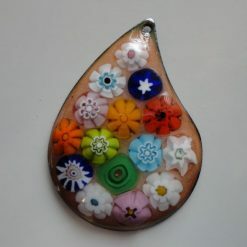 Millefiore – fuse onto a previously fired layer of enamel, counter enamelling recommended. 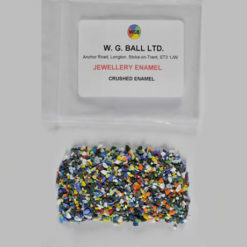 Enamel Threads – ideal for scrolling or to give straight lines of colour. 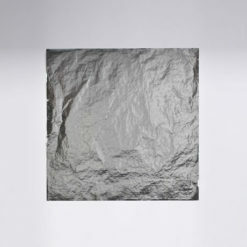 Silver Foil – used to replicate enamelling on silver. 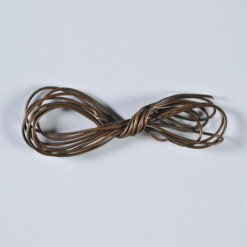 Copper Wire – for cloisonne. 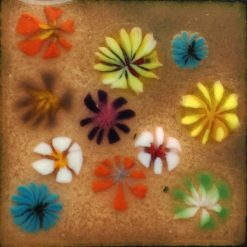 Mixed Floral Wafers – beautiful fired miniature flower patterns which can be applied to a fired enamel surface with some gum, or, directly to an unfired enamel powder.